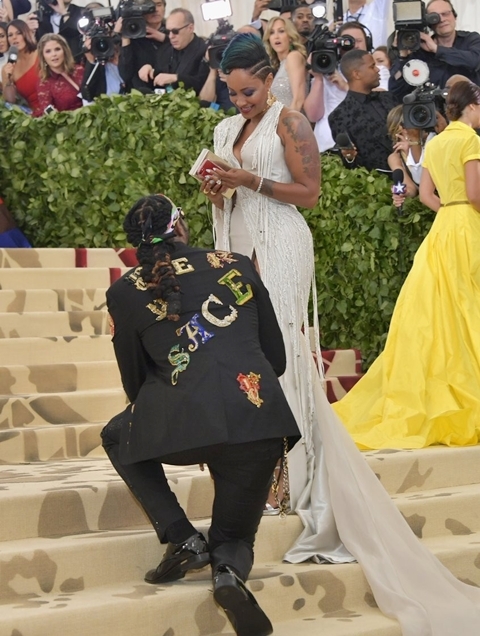 Love is in the air at the 2018 Met Gala, and 2 Chainz contributed to the romance by proposing to his wife, Kesha Ward. Yes, they've been married since 2013 and have three kids together. 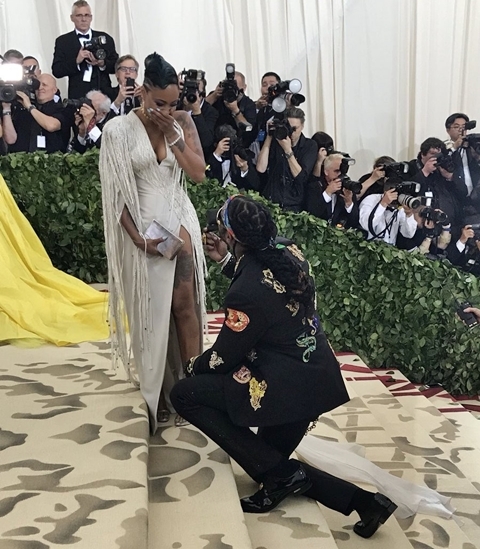 Popular American rapper, Tauheed Epps, known professionally as 2 Chainz, might have just delivered the biggest moment of the 2018 Met Gala which was held at New York City's Metropolitan Museum of Art on Monday night. Taking over the red carpet with his longtime partner, Nakesha Ward, Tity Boi turned heads everywhere when he suddenly dropped to his knee and proposed to his lady on Monday night, and she said Yes!. 2Chainz and Ward have been romantically involved with one another for a long while now, and together the two have three children named Heaven, Harmony and Halo. 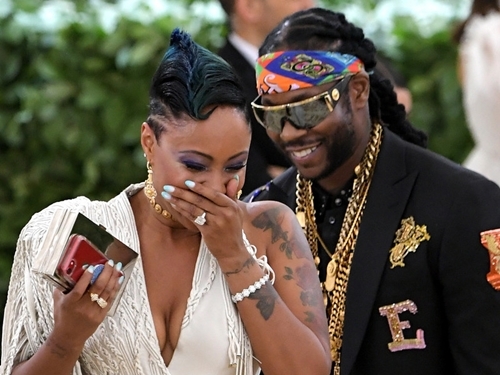 It's been reported that 2Chainz proposed to her at the BET Awards back in 2013, but the circumstances surrounding that alleged proposal remain unclear. She has often been called 2Chainz's wife in subsequent years, so maybe this is more of a formality than anything else.